Most teams have one, and they deserve to be rewarded too! 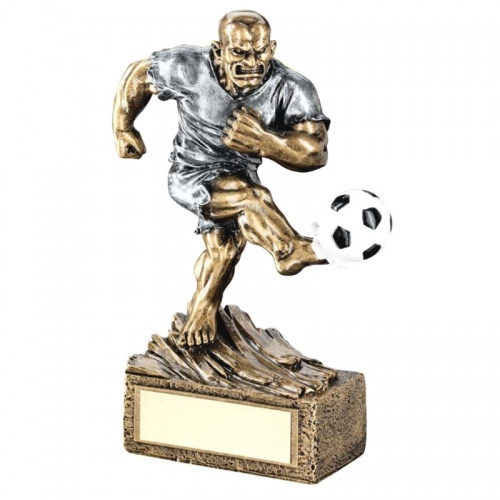 These resin footballer trophies feature a detailed figure of a 'beast' kicking a football. Standing 6.75in and with a silver and bronze coloured finish, they are ideal engraved as awards for the beast in your team. Engraving will be applied to the plaque on the base.